Meeting registrations, requests to speak, and hotel reservations are all due by January 6, 2014. Send the title of your presentation to conference coordinatorJacob Burks. Presentations should be no longer than 10 minutes, followed by a few minutes for discussion. USE ONLY THIS LINK to reserve your room. Please do not reserve your room by phone or you may not receive the conference rate. Conference rates are offered 3 days pre and 3 days post conference, subject to availability; reserve early if interested. The cut-off date for room reservations is January 6, 2014. After this date we cannot guarantee the conference rate. Double occupancy room rates are: Garden View – $209.00 per night, Ocean View – $229.00 per night, and Beach Front – $269.00 per night. Rates increase by $10 per each additional person over the age of 18. Rates are subject to applicable taxes and fees, currently 20% per room. Note: rooms are appointed with one king bed and one p ullout sofa; no other configuration is available. Gary Borisy is best known for his research directed at understanding how cells crawl, how they divide and how they acquire their shape, all fundamental processes underlying cell function in health and disease. He discovered tubulin, the protein subunit of which microtubules are comprised and contributed fundamental insights into our understanding of the mitotic spindle and the motile lamellipodium. He developed novel techniques for imaging fluorescent molecules in living cells and for correlating their distributions with electron micrographs of the same cells. Recently, he has begun a new line of investigation exploring the structure of microbial communities through combinatorial labeling, spectral imaging and metagenomics. His current research focus is on visualizing the oral microbiome. After receiving his Ph.D in Biophysics from the University of Chicago in 1966, Dr. Borisy did postdoctoral study at the Medical Research Council Laboratory of Molecular Biology in Cambridge, England. He joined the faculty of the University of Wisconsin in 1968, rising to full Professor in 1975 and Perlman-Bascom Professor of Life Sciences and Chairman of the Laboratory of Molecular Biology in 1980. He moved to Northwestern University in 2000 as the Leslie B. Arey Professor of Cell and Molecular Biology, Distinguished Investigator in the Feinberg Cardiovascular Research Institute, and also served as Associate Vice President for Research until 2006. He served as President and Director of the Marine Biological Laboratory in Woods Hole, MA from 2006 through 2012. 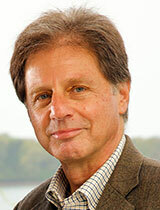 Dr. Borisy has served on numerous panels for the National Institutes of Health, American Cancer Society, Howard Hughes Medical Institute, Novartis Foundation, as well as Scientific Advisory Boards, Editorial Boards, Professional Society Committees and as a member of the International Selection Committee for the Japan Prize in Biology. He is a recipient of numerous awards including an NIH MERIT Award, the Carl Zeiss Award from the German Society for Cell Biology, the Distinguished Alumni Award from the University of Chicago, and the E.B. Wilson Award from the American Society of Cell Biology. 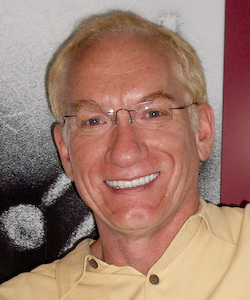 Dr. Borisy is a past President of the American Society for Cell Biology, a Fellow of the American Association for the Advancement of Science, an elected member of the American Academy of Arts and Sciences and the U.S. National Academy of Sciences. He has authored or co-authored over 225 papers with more than 22,000 total citations. The Oral Immunology/Microbiology Research Group (OIMRG) had its first meeting in 1991. It was founded as a means of promoting intimate, collegial interaction and collaboration among researchers interested in the immunology and microbiology of the oral cavity, particularly as related to oral diseases (dental caries and periodontal disease). The OIMRG is currently comprised of 180? investigators representing forty-eight universities, research centers, and commercial organizations in the U.S. and abroad. The annual meeting of the OIMRG is also known as the Mark Wilson Conference, named in honor of its founder the late Mark Wilson, 1950–2000. The meeting is consistently held over a long weekend during late January or early February. The 24th annual meeting of the OIMRG is scheduled for February 7–10, 2014 at the St. Croix Renaissance Carambola Beach Resort & Spa, St. Croix, U.S. Virgin Islands.